Any software, content or other material (collectively, the "content") that is on this site is the copyrighted work of Tsweleople Productions (Pty) Ltd and/or topbillingmagazine.com and/or its suppliers. Use of the content is governed by the terms hereof. This site is owned by Tswelopele Productions (Pty) Ltd and operated by Tswelopele productions (Pty) Ltd. No content from this site may be copied, framed, reproduced, republished, uploaded, posted, transmitted, or distributed in any way, except that you may download a copy after a valid sale of the content on any single computer or print one or more copies of the content for your personal, non-commercial use only, provided you keep intact all copyright, trademark and other proprietary notices. In the event you download any content from this site, such content is licensed to you by Tswelopele Productions (Pty) Ltd & Tswelopele Productions (Pty) Ltd does not transfer title to the content to you. 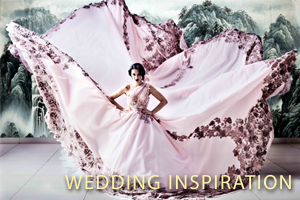 Modification of the content contained on this site or use of the content for any other purpose is prohibited and constitutes a violation of the copyright and other proprietary rights of Tswelopele Productions (Pty) Ltd and/or topbilling.com and/or its suppliers. You must be at least 18 years of age to agree to and accept these Terms of Service on your own behalf unless otherwise permitted by us. We believe that children using the Internet require special protection, and we urge parents or guardians to explain Internet safety to their children. Parents are urged to spend time online with their children to become familiar with the types of Content available on the Service and the Internet in general. Control tools are available from online services and software manufacturers to help create a safer environment for children. You agree to pay for all Content that is not obtained to you by us for free. Payment options accepted Payment may be made via Visa, MasterCard, Diners or American Express credit cards. Credit card transactions will be acquired for topbillingmagazine.com and topbilling.com via MyGate (Pty) Ltd.MyGate uses the strictest form of encryption, namely Secure Socket Layer 3 (SSL3) and no credit card details are stored on the website. Users may go to www.mygate.co.za to view their security certificate and security policy. In the event you use your credit card to make purchases on topbilling.com,and topbillingmagazine.com we may, in our discretion, post charges to your credit card individually or may aggregate your charges with other purchases you make on topbilling.com and topbillingmagazine.com. All charges will be billed to the credit card you designate when you first make a purchase or incur a charge on topbilling.com or topbillingmagazine.com. If any of your billing information changes, you must update that information by contacting Customer Support or changing your details online on topbilling.com or topbillingmagazine.com. By providing your credit card information to us, you are acknowledging and agreeing that we may keep your credit card information, unless you make a request to Customer Support that your credit card information be removed, in which case it will be removed. By providing your credit card information to us, you agree that you will consult the terms and conditions that are imposed by your credit card issuer for notification requirements and limitations on your liability for loss, theft or unauthorized use of your credit card. You agree that you, and not the Related Entities, will be solely responsible for the payment of all amounts billed to your credit card by unauthorized third parties. You agree that you will not provide to us any credit card information for any credit card that is not issued in your name. Purchases from topbilling.com and topbillingmagazine.com may include VAT and other taxes (where applicable) and such taxes will be based on the best available address information. There are no refunds when a purchase is made on topbilling.com and topbillingmagazine.com When you click to confirm your purchase or download, your purchases are charged to the credit card on file with us. All prices related to Topbillingmagazine.com are subject to change by us at any time, without notice and without liability to you. We do not provide price protection or refunds in the event of a price drop or a promotional offering. Unless otherwise stated, all prices are quoted across topbillinga.com and topbillingmagazine.com in South African Rand. All web-site design, text, graphics, the selection and arrangement thereof, and all software compilations, underlying source code, software (including applets) and all other material on this web-site are copyright of Tswelopele Productions (Pty) Ltd, topbilling.com or topbillingmagazine.com and its affiliates, or their content and technology suppliers and providers. ALL RIGHTS RESERVED. 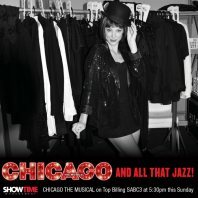 Any use of materials on this web-site without the prior written permission of Tswelopele Productions (Pty) Ltd or topbilling.com and topbillingmagazine.com is strictly prohibited. We respect the intellectual property of others and require that its users do the same. We will promptly take down or block access to infringing or allegedly infringing material on our servers if we become aware that such material infringes the copyright rights of a third party, whether we identify such infringement in the course of its ordinary and reasonable business activities, or through notification by a third party. We will promptly contact the entity responsible for the allegedly infringing content (the "Owner"), and alert them to the allegations of infringement, and of our take-down or blocking of the allegedly infringing material. If the Owner believes that the removal or blocking of their material was a result of a mistake or a misidentification of the material, the Owner shall provide us a counter-notification establishing the Owner's rights to display the material in question, as well as any other information we shall request. Upon receipt, we will promptly forward the counter-notification to the party that claims to be the copyright owner. It that party then does not file suit to enjoin the alleged infringement, we will repost or unblock the material within 14 days after receiving the counter notification. A statement by you, made under penalty of perjury, that the above information is your notice is accurate and that you are the copyright owner of authorized to act on the copyright owner's behalf. Trademarks (r) and TM indicate trademarks which are owned by or used under license by Tsweleopele Productions (Pty) Ltd or topbilling.com. 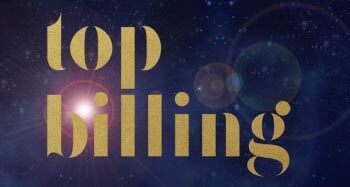 Unauthorised use of any trademarks which are owned or used under license by Tsweleopele Productions (Pty) Ltd or topbilling.com is strictly prohibited. Other product and company names mentioned on this web-site may be the trademarks or registered trademarks of their respective owners and are subject to all applicable trademark protection laws. No contract will subsist between you Tswelopele Productions (Pty) Ltd or topbillingmagazine.com for the sale by it to you of any product unless and until Tswelopele Productions (Pty) Ltd or topbillingmagazine.com accepts your order by email confirming that it has shipped your product. That acceptance will be deemed complete and will be deemed for all purposes to have been effectively communicated to you at the time Tswelopele Productions ) (Pty) Ltd or topbillingmagazine.com sends the email to you (whether or not you receive that email). For the avoidance of doubt, any such contract will be deemed to have been concluded in South Africa. Further, any such contract will be interpreted, construed and enforced in all respects in accordance with the laws of South Africa, and you and Tswelopele Productions (Pty) Ltd or topbillingmagazine.com irrevocably submit to the non-exclusive jurisdiction of the South African Courts. The content in this site is provided "as is" and without warranties of any kind either express or implied. To the fullest extent permissible pursuant to applicable law, Tswelopele Productions (Pty) Ltd and/or topbillingmagazine.com disclaim all warranties, express or implied, including, but not limited to, implied warranties of merchantability and fitness for a particular purpose, title and non-infringement. Tswelopele Productions (Pty) Ltd and/or topbillingmagazine.com do not warrant that the functions contained in the content will be uninterrupted or error-free, that defects will be corrected, or that this site or the server that makes it available are free of viruses or other harmful components. Tswelopele Productions (Pty) Ltd and/or topbilling.com do not warrant or make any representations regarding the use or the results of the use of the content in this site in terms of their correctness, accuracy, reliability, or otherwise. You (and not Tswelopele Productions (Pty) Ltd and/or topbilling.com) assume the entire cost of all necessary servicing, repair, or correction. Applicable law may not allow the exclusion of implied warranties, so the above exclusion may not apply to you. Except as specifically stated on this website, to the fullest extent permitted at law, neither Tswelopele Productions (Pty) Ltd and/or topbillingmagazine.com nor any of their affiliates, directors, employees or other representatives will be liable for damages arising out of or in connection with the use of this Web site or the information, content, materials or products included on this site. This is a comprehensive limitation of liability that applies to all damages of any kind, including (without limitation) compensatory, direct, indirect or consequential damages, loss of data, income or profit, loss of or damage to property and claims of third parties. Governance: This Agreement shall be governed in all respects by South African laws. Both parties submit to the jurisdiction of South Africa and further agree that any cause of action arising under this Agreement shall be brought exclusively in the South African courts. If any provision of this Agreement is held to be invalid or unenforceable, such provision shall be struck and the remaining provisions shall be enforced. Our failure to act with respect to a breach by you or others does not waive our right to act with respect to subsequent or similar breaches. If we ask a third party to provide services through our Network or for your Membership, the provisions of this Agreement shall apply to your use of their services. We shall not be liable for any delay or failure to perform resulting directly or indirectly from any causes beyond our reasonable control. This Agreement sets forth the entire understanding and agreement between us with respect to the subject matter hereof, save that nothing shall hereby be construed as attempting to limit or exclude liability for fraud or fraudulent misrepresentation.